NPR listeners will get a taste of one of Cleveland's best bands today. 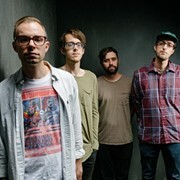 Cloud Nothings' "Stay Useless" is the public-radio gods' Song of the Day. Of course we've been telling you how awesome the band — led by Westlaker Dylan Baldi — and their new album, Attack on Memory, are for a while now. 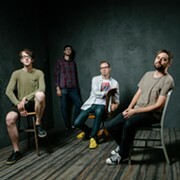 So if you haven't tried some Cloud Nothings yet, let the people who helped the Decemberists get a No. 1 album last year introduce you. They also wrote some words about the band.